For businesses of all shapes and sizes, Instagram is a necessary platform for building brand awareness, connecting with a target market, and acquiring customers. For new businesses or freelancers, it’s important to try and grow an Instagram account as early as possible to increase reach. This way, when customers and leads try to search for them on Instagram, their profile is established with content for them to browse, and hopefully follow. 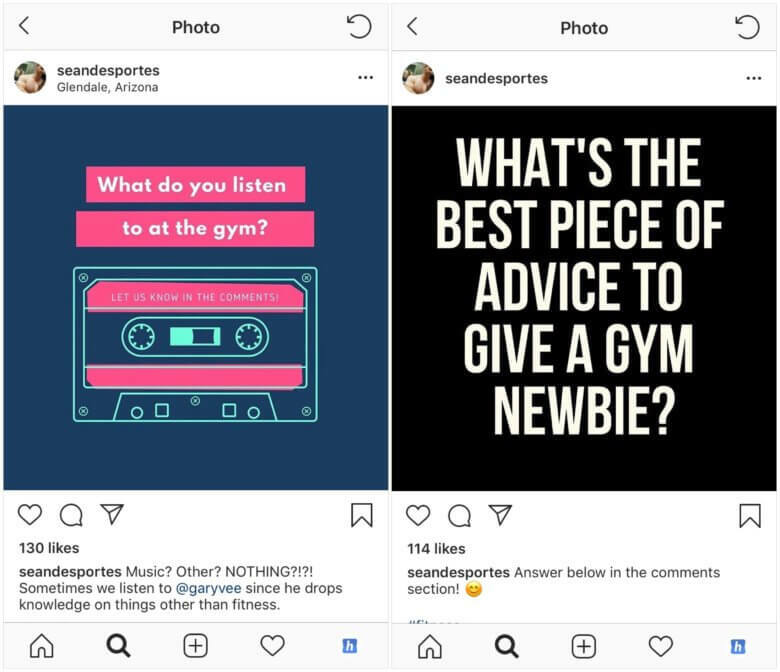 We spoke to Sean des Portes, an aspiring personal trainer who is in the process of growing his Instagram account, and will be following his Instagram journey as he tries to get more followers — and ultimately customers — from his account. Asking questions on Instagram is a great way of encouraging comments on your posts, and having genuine conversations (or even debates) with your audience! We know that when a post receives fast engagement, it gives a big thumbs up to the Instagram algorithm (more on this later). Asking questions is therefore a great way to increase the amount and speed of engagement on your posts! Sean starts conversations with his followers by asking questions in his posts. Many Instagram users use their captions to ask questions, however that firstly relies on your followers actually reading your captions, and it’s also easy for the question to get lost — particularly if it’s long enough to trigger the ‘See more’ link. A way to ensure your questions are seen and answered by your followers is to create text posts like the ones above on tools such as Canva. You can incorporate them into your Instagram theme by using consistent colours and fonts, and soon they will become memorable to your audience! Another great way to grow an Instagram account is by letting your followers behind-the-scenes of your life or business via Instagram Stories! People feel more connected with a brand when they can see the people behind it, and the same goes for freelancers or small businesses. Sean shares videos of his family life, with his wife and son playing a central role. This is a great way of building a community, as it portrays him as a relatable normal guy as opposed to a ‘company’. If you’re trying to grow an Instagram account, it’s important to create trust between you and your followers, as you’re then in a better position to sell your product or service later down the line. 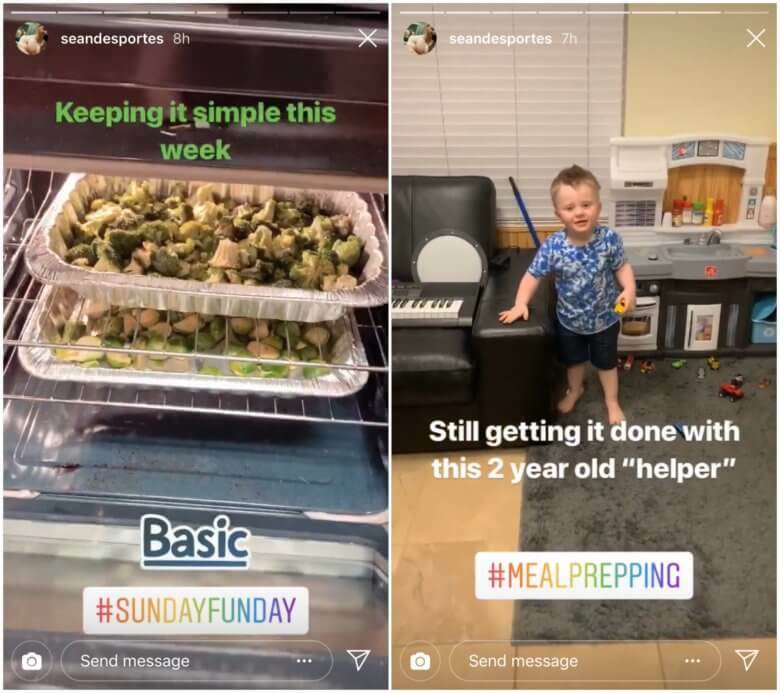 Sean uses Instagram Stories to grow his Instagram account by letting his followers get to know him — sharing meal prep tips as well as showing the personal side of his family life. The temporary nature of Stories allows Instagram users more freedom with the kind of photos or videos they share — something that wouldn’t earn pride of place on the feed can still be shared in Stories. Similarly, the fact that they are often instant, raw, and natural creates a genuine feeling of ‘real life’, which has become increasingly rare on social media. Regardless of industry or size of business, any individual or brand can use Stories to show exclusive behind-the-scenes content to help grow their Instagram account. Check out our guide to using Instagram Stories for business for more ideas! Sean also uses direct messages to grow his Instagram account. By starting conversations with both his followers and people in his target audience that don’t yet follow him, he is building community and increasing his reach. Whether it’s giving advice or asking for it, complimenting similar accounts or giving words of encouragement, all of these conversations contribute to the growth of his Instagram account! Community engagement is often overlooked on Instagram in favour of content creation and making your feed look good. However, it’s arguably one of the most valuable areas of Instagram marketing, because it creates genuine relationships that ultimately increase your engagement rate — because your followers actually care about you, your life and your business. 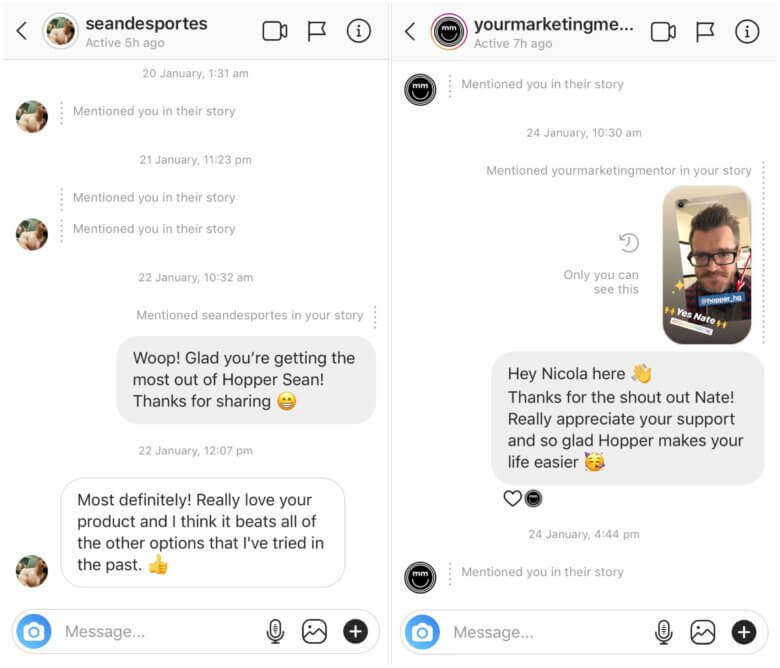 At Hopper HQ we share any Instagram Stories we are mentioned in, as well as chat to customers in direct messages! Anyone can implement this strategy to grow an Instagram account: simply reply to your target audience’s Stories with genuine interest. Aim to add some value to spark conversation, i.e don’t just click the heart eyes reaction and expect a reply! A great technique to increase brand awareness and build community is to encourage your existing followers to ‘tag a friend’ in your posts. This is a strategy implemented by hundreds of brands on Instagram for a reason! Asking people to tag someone they think would be interested in your posts is a simple call to action that can hugely increase your reach. Most importantly, the people getting tagged in the comments are likely to be people who don’t already follow you, but are in your target market. ‘Tag a friend’ captions are a great way to grow an Instagram account. Another benefit of these strategies to grow an Instagram account, is that the Instagram algorithm naturally boosts users that are using the app in this way. We say it a lot, but Instagram is all about community, and so there is something to be said for engaging with other users and having genuine interactions. When your content receives likes and comments, it essentially tells the algorithm that it’s good content, and therefore more users would want to see it. Instagram then shows your post higher up in your followers’ feeds, and if you’re lucky it could even get featured on the Explore page! Hopper HQ is an Instagram scheduling and visual planning tool that allows you manage your content and plan your feed on desktop in advance. 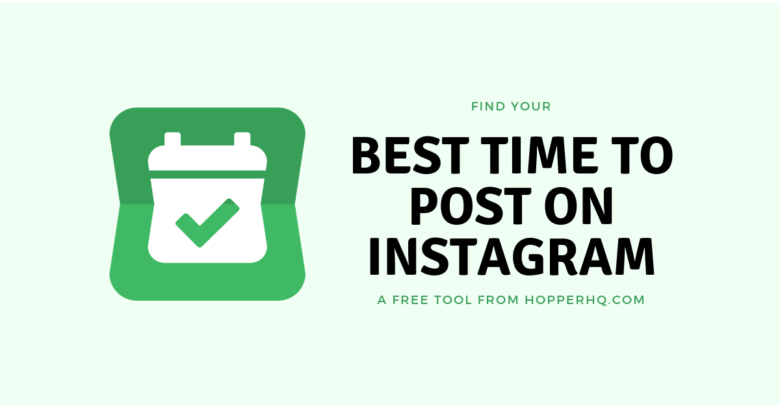 Scheduling tools like Hopper HQ are essential to help grow an Instagram account, as you can plan ahead of time, ensuring content is going out consistently and looks good on your profile, as well as save time managing your account! Social media management takes a huge amount of time, especially for freelancers, influencers and small businesses who are just starting out and trying to grow their Instagram account. These individuals are running a business as well as managing their social media profiles, as opposed to larger businesses who have dedicated social media managers. It’s therefore really important to save time and streamline the process where you can. Hopper HQ helps minimise the time spent on mobile, as everything is posted automatically for you as opposed to receiving notifications to your phone. 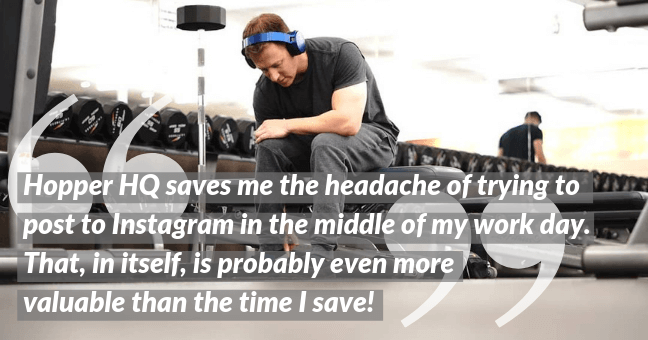 This time saved allows users trying to grow their Instagram account to focus on other areas of social media management, such as content creation and interacting with their followers. Another strategy to grow an Instagram account is creating video content. 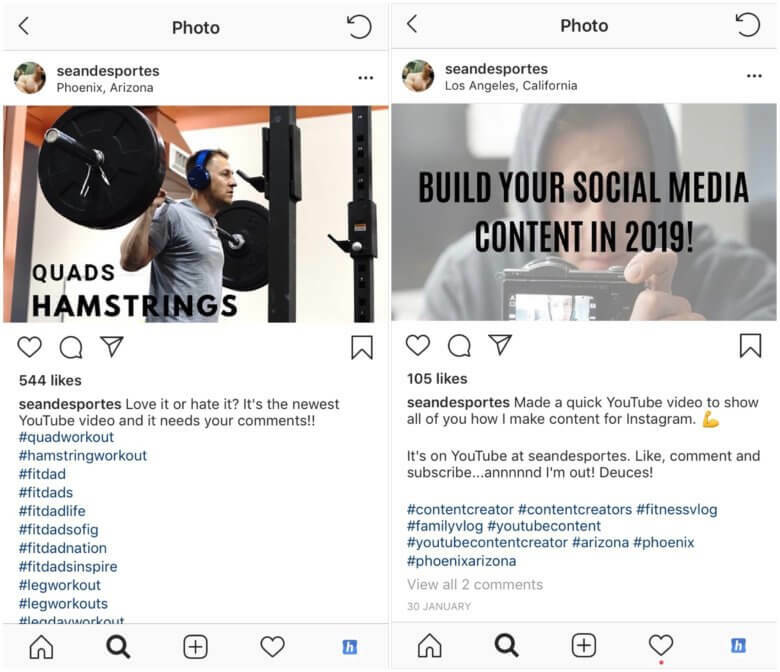 Videos are used increasingly by influencers and brands on Instagram, particularly in the fitness world. Video allows Sean to show his followers his workout and meal prep routines, as well as the behind the scenes family life we’ve already mentioned. Videos on the platform have seen an 80% increase year over year, and are therefore a great method to grow an Instagram account! Creating a YouTube channel alongside your business Instagram is a good strategy to increase the reach of both. However, it’s important you can maintain the level of content you start posting! Once your audience become used to seeing regular video content or vlogs, they will come to expect it. Posting sporadically will damage the level of trust and loyalty created by building your community! If you decide video is the best kind of content for your brand or industry, you can create a YouTube channel and put the link in your bio to drive traffic, while encouraging your Instagram followers to subscribe. Similarly, you can include you Instagram handle in all your videos to grow your Instagram account as your channel grows. Sean has found YouTube a successful channel for increasing his social media presence, as well as driving viewers to his Instagram account. All of Sean’s Youtube content is also shared on IGTV, increasing its reach for those that don’t follow his YouTube channel. Once you have put the time and effort into creating content, whether it’s a blog post, photography, or video, it’s important to maximise its potential by repurposing it for different channels. For example, a long vlog made for YouTube can be cut down into a series of short Instagram videos, or the highlights of a blog post can be turned into text posts in an Instagram carousel post! 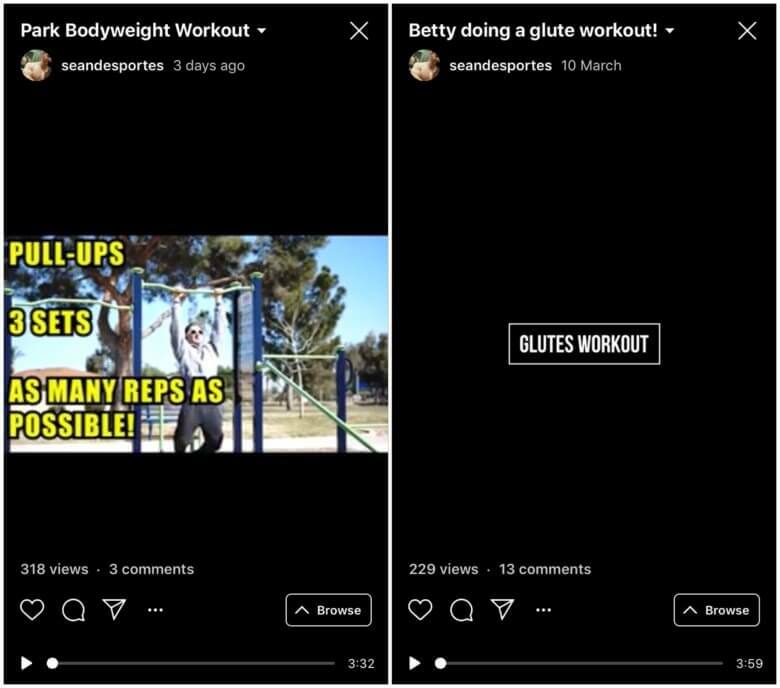 As IGTV is still relatively new, Instagram naturally promote it to encourage more users to watch and publish content on the sub-platform. It’s therefore a great strategy when trying to grow an Instagram account to post to IGTV, especially now you can share a preview of your IGTV video on your feed as a video post! 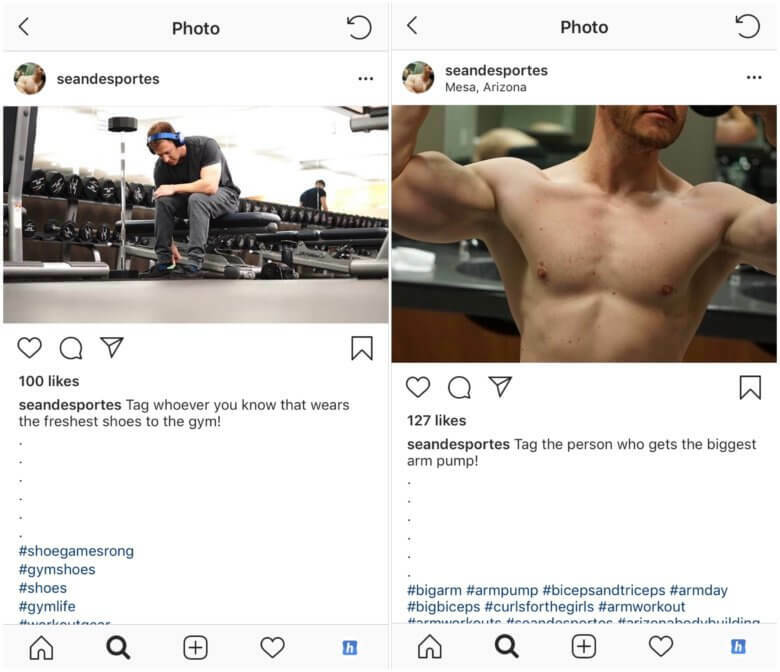 Aside from Instagram itself, Sean has also used other social networks and digital marketing techniques to help grow his account. He also released an e-book on Amazon documenting a band workout, which he said garnered some attention and contributed to the growth of his Instagram page. 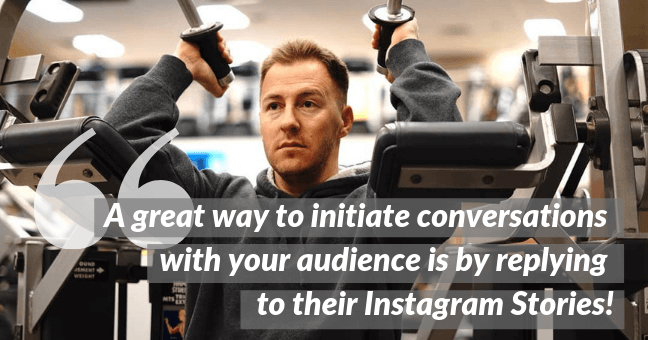 Similarly, Sean has offered free online coaching to his network, helping build his community and acquire customers for testimonials when he decides to start monetising his Instagram page. 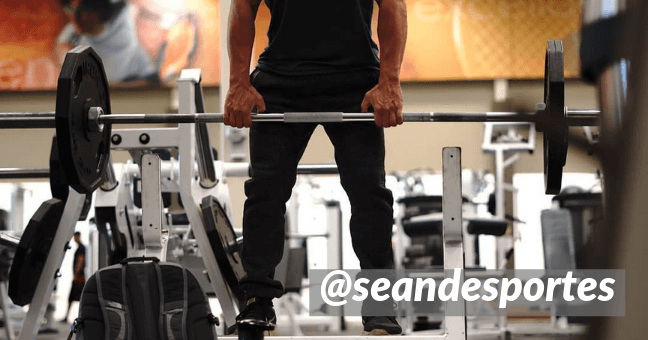 Sean has offered free online training to his Instagram followers and has had good reception. 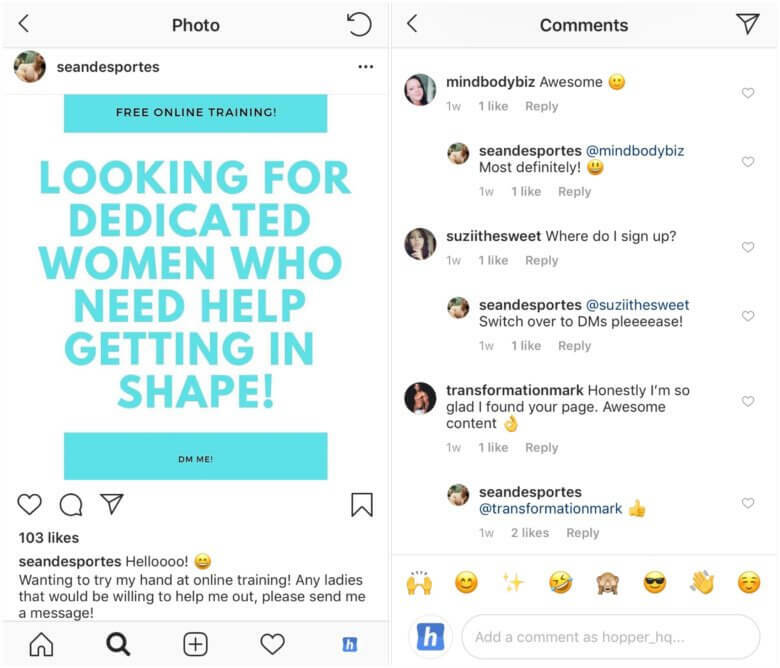 Once Sean has built his following, community and engagement on Instagram to a satisfactory level, he will start advertising his service to turn that community into paying customers! He decided to wait until he had 2,000 solid followers before advertising services he would charge for. However, he has posted a few Stories saying he’s looking to train a few people for free as a test run! This follows the marketing philosophy of giving something away for free in order to build loyalty and truly add value to your audience! Instagram Insights: What Do They Mean?